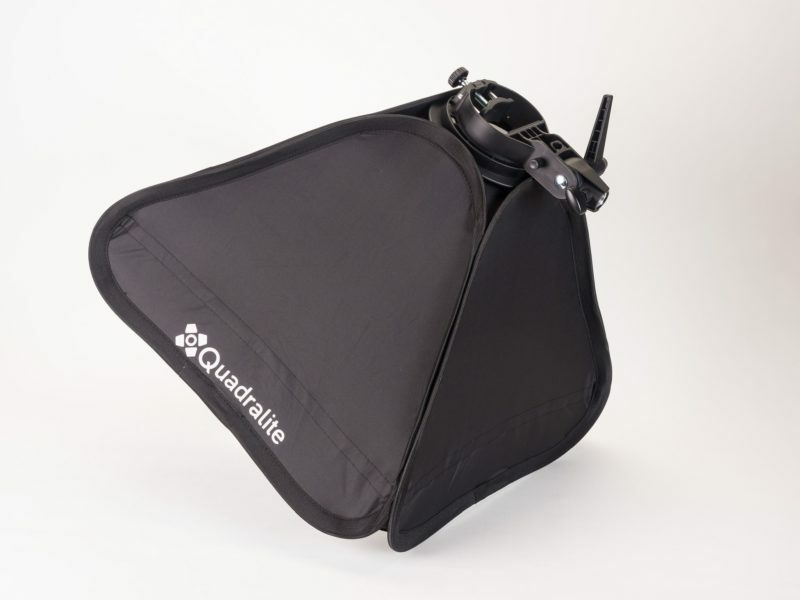 Michael tests Quadralite's 50×50cm folding softbox, designed for speedlights and bare bulb flashes. Is it any good? 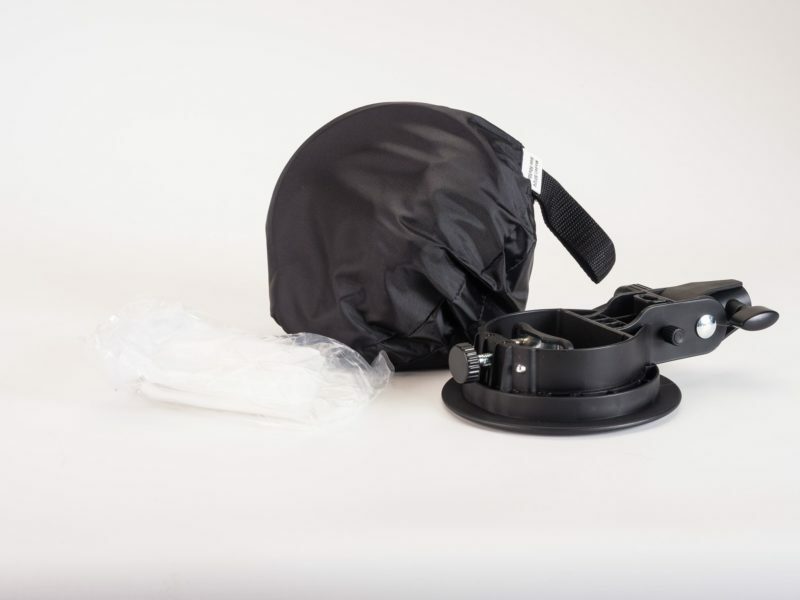 I use a lot of folding softboxes in various forms, and all in an effort to create a smaller, lighter location kit. I’ve got numerous larger folding Octas and the like, but wanted a smaller softbox for closer work. I’d purchased “no name third party” previously, only to be disappointed with the build quality and the fact it had no inner diffuser. 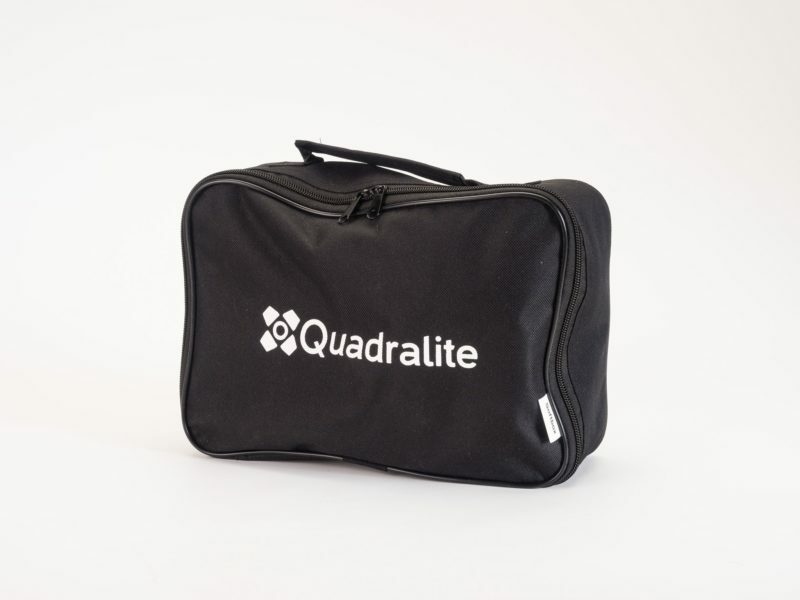 So when I renewed my search, I came across the Quadralite Litebox 50×50 folding softbox which was listed on the pixedo.com site. A couple of days later, and the softbox arrived. A very strong canvas type case keeping it all together, containing the folded softbox in a nylon pouch, two diffusion panels and the speedlight mount. 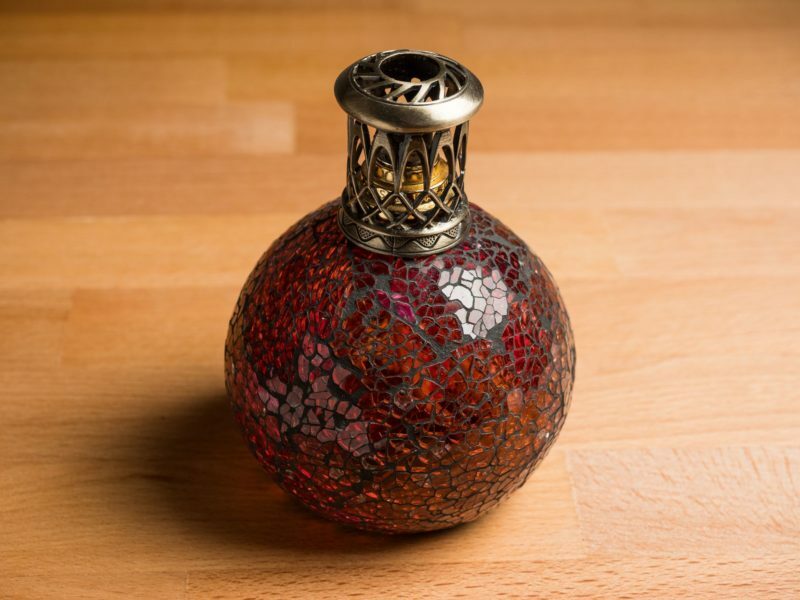 The inner silvered surface is mirror smooth, and the quality is extremely good. I’ve always preferred the stippled finish to the inners surfaces of my softboxes, and I did wonder how it may influence the light. The stitching is one of the first things I look at, having experienced zips divorcing their supports before now. 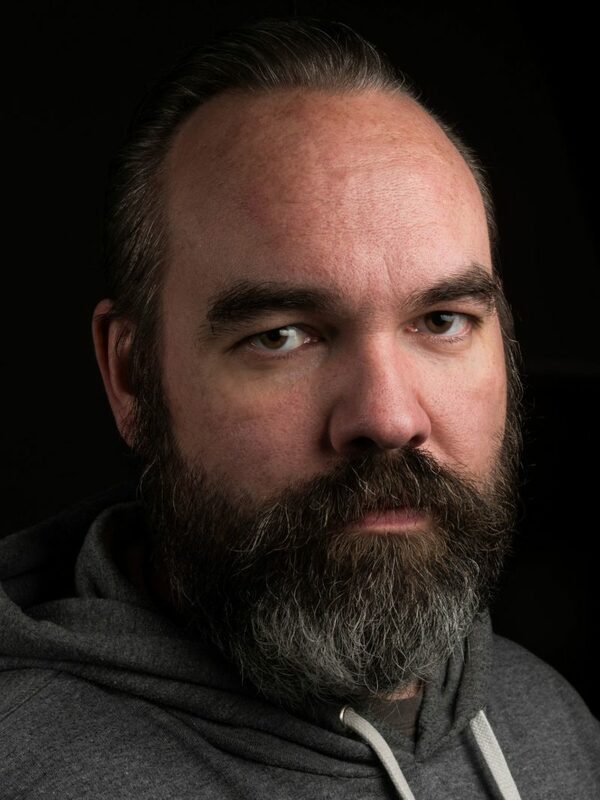 And whilst this was a fairly cheap softbox, the quality of the finish is not. The metal framework is extremely strong, and unfolded with the characteristics of a coiled spring. I tend to be a little careful when opening these things, as the first time I encountered a folding softbox, I nearly took my nose off when opening it. Due to the size of this one, I did find it needed a lot more persuasion to re-fold it and get it back into its pouch. As I mentioned, the metal framework is extremely strong. However, if you fold it incorrectly, or try and force it to fold, you will find the straight lengths of the frame can take on a bowed appearance. 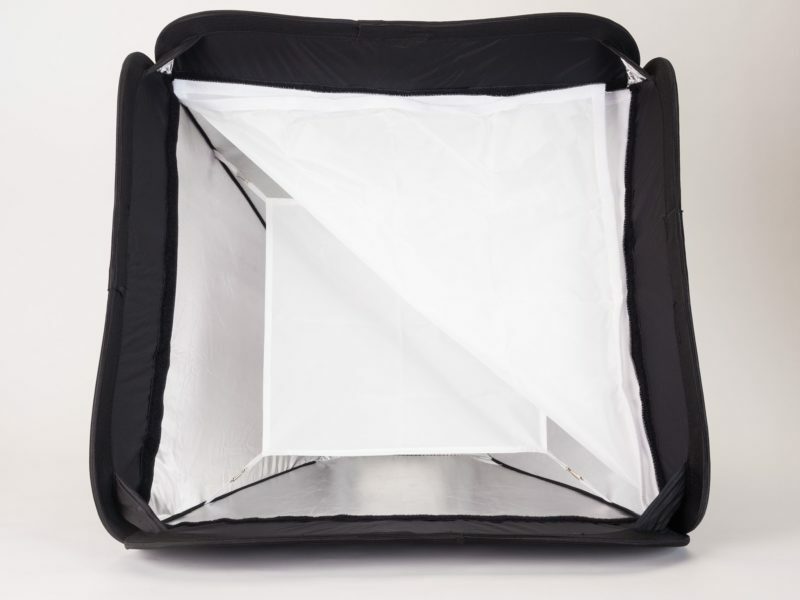 If this is your first folding softbox, I would recommend searching YouTube for tutorials on folding the softbox correctly. The inner diffusion panel is held in place via four elastic anchor point. Personally, once I’ve attached the inner panel, I don’t bother removing it to fold the box. There’s enough give in the elastic to allow for the folding. The fabric of the diffusion panel seems to be good, with enough translucency to reassure me regarding its diffusion abilities, without eating too much of the light. 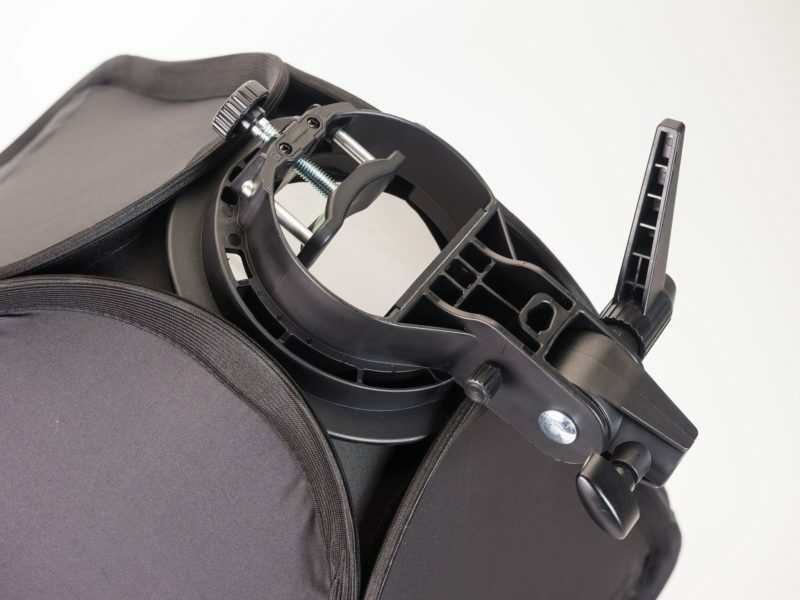 The outer diffusion panel simply secures in place using a hook and loop system, which is pretty universal, and does exactly what’s expected of it. When folding the box, I simply pull back one corner, allowing the front of the softbox to have enough give, allowing the frame to fold. The supplied bracket simply pushes home, although the fit is extremely secure, and perhaps “simply pushes home” is a bit of an understatement. Once in, there is no way it come away without a good amount of persuasion. 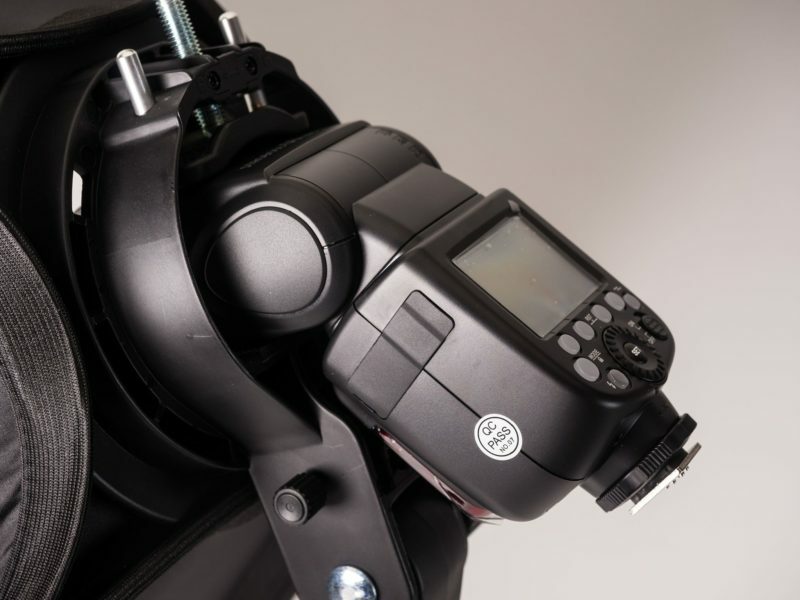 The lightsource, usually a speedlight, is simply inserted and then clamped in place. The aperture will comfortably take the Quadralite Reporter (Godox AD200) and the Reporter 360/180 (Godox AD360/AD180) with ease. This particular size was purchased for closer work on small items. And it certainly met my expectations. A good look to the contrast, with a nice falloff. It wasn’t intended for use as a portrait ‘box, but I thought it would be worth torturing Damien again. This is a very simple one light setup, countered with a reflector. 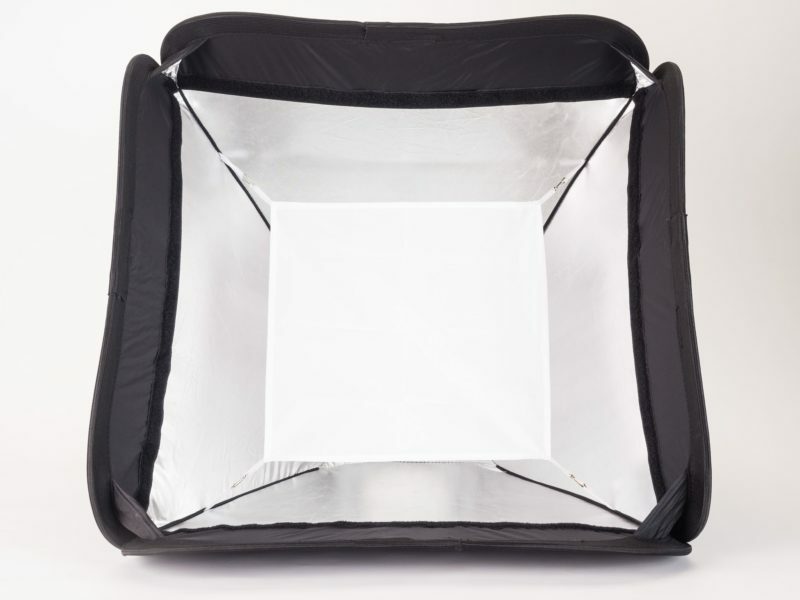 The softbox is frame right and angled slightly down, and high enough to allow the bottom of the box to illuminate his eyes, and provide the catchlight. The reflector was placed frame left, and angled so as to face the softbox almost square on, bouncing light towards Damien’s temple. I used the silver panel on the reflector to increase the amount of bounced light, and also increase the contrast. When you think a similar bracket is often available for £15 or more, then the total cost of this set at about £40 means the residual box value is around the £25 mark. I’ve no idea how they manage to create such a good quality item in that price range. I’ve certainly paid more before now, and received items with very short lifespans. This, on the other hand, seems extremely well made and robust, and I certainly feel confident it will give many years service. As a bonus, with the diffusion panels removed, it makes a good reflector, with a higher output and providing quite a contrasting light, allowing me to have a larger reflector to hand in my location kit, without dragging a metal reflector along. Or more to the point, when I’ve forgotten it! My softbox came from Pixedo.